Competitive. Crowded. Content marketing is tough. Low barrier of entry… Anyone can write and press the publish button. High competition… Huge players have already built massive audiences. So how are you doing? Are you beating your competition at content marketing? It’s a tough question to answer. There are lots of ways to measure. Which brand is more committed to content? Which brand is getting more traction? Which brand is likely to win in the future? This competitive content analysis covers six main areas: content, traffic, search optimization, social media, email marketing and advanced content strategies. 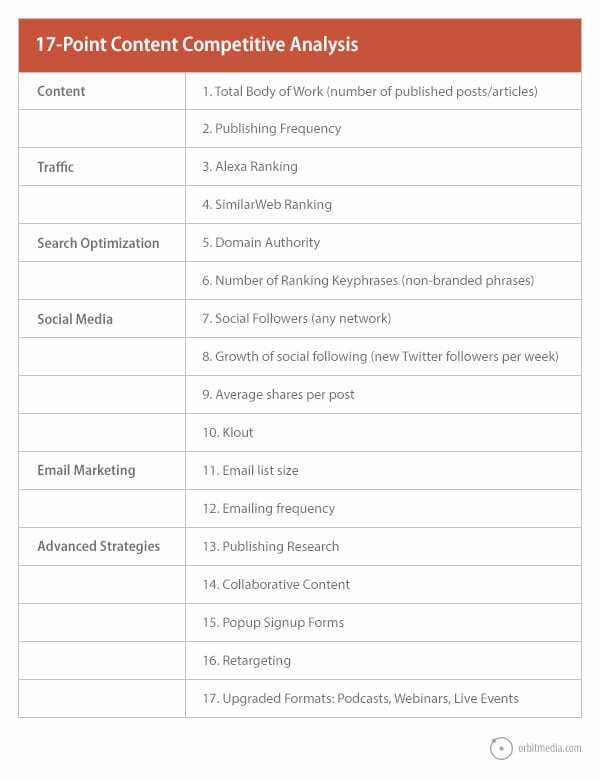 There isn’t one, unified dashboard that analyzes your content marketing against your competitors using all of these criteria. So at the bottom of this post, we’ve invented one. But first, let’s drill down into each and find the data. How big? How fast? First, let’s get a sense for the size of their site, then let’s look at how often they publish. LBOW stands for “lifetime body of work” and it matters. Some brands have published tons of content. Others have far fewer useful articles on their domain. More isn’t always better, but it’s a factor. 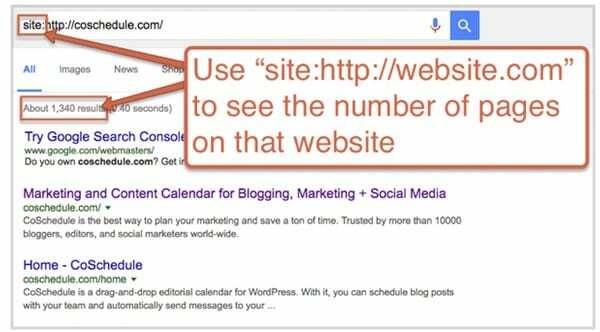 To see the total number of pages on your site and the site of any competitor, use the “site” operator while searching in Google. Just search for “site:http://webaddress.com” and you’ll see the number of pages on that domain. I don’t know of a tool that measures this, so you’ll have to go to their site and start counting posts. It will be easy to find, as long as they have dates on their content. ProTip: We actually recommend removing the dates from your own blog, unless you publish news. Dates on blog posts are one of 15 things you should remove from your website. Publishing more often doesn’t necessarily mean they’re winning, but it’s another factor. There are many tools that estimate traffic, and they’re all inaccurate to varying degrees. Alexa is probably the most popular. SimilarWeb is probably the most accurate. So let’s use those two. Alexa ranking doesn’t show traffic estimates, but it’s a very common way to get a sense for how popular a website is. Higher rankings (as in, a lower number) should indicate more traffic. According the article cited above, the correlation is .702. Bonus: If the site is popular enough, Alexa will show you demographic data for the visitors. This is a great tool for all kinds of competitive analysis. And the correlation between SimilarWeb rankings and traffic is higher, .827. It’s more accurate. Bonus: If the site is popular enough, SimilarWeb will show you traffic sources, including referring sites! Rankings are public, so it’s easy to get data on the competition’s SEO efforts. We recommend two tools for this, Moz and SEMrush. Moz shows the general likelihood of ranking. SEMrush shows the number of phrases they’re raking for. This is a powerful indicator of the strength of the competition. Domain Authority is the overall ranking potential of you and your competitors. Whoever’s higher has more horsepower in search. The quickest way to compare you to them is to enter you both into Open Site Explorer. Use the “Compare Link Metrics” tab to see the specifics, including the number of sites that link to each of you. Use SEMrush to check their rankings. Most website rank for hundreds (if not thousands) of phrases. Just enter your websites into this tool and look at the number in the lefthand column. Of course, you both already rank for your business names, so that doesn’t count. What matters is the number of “non-branded” keyphrases. Those are the phrases that don’t include the business name. If you have the paid account (worth it!) you can use a filter to remove these branded phrases. This is another important yardstick. The advantage goes to the brand with the larger, more engaged following. The winner here gets more social traffic and greater networking benefits. Pick whichever network is important to your brand. That often means Facebook for B2C brands and LinkedIn for B2B. Twitter tends to be relevant to everyone. Next, just compare the size of your following to theirs. 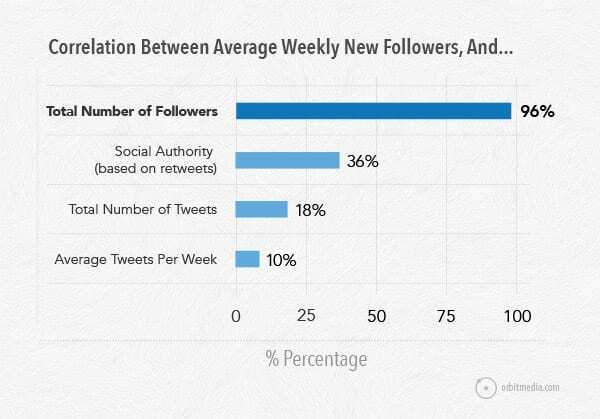 There are tools that measure the growth rate of a Twitter following. They simply show average daily new followers minus average daily unfollowers. User the “Compare Users” feature in FollowerWonk. Make sure to select “Compare Users They Follow” from the dropdown menu. As we know from previous research, the biggest factor in follower growth isn’t activity or “authority,” it’s the size of the following (source). The rich get richer, it seems. If you’re looking to grow your following fast, here’s our Semi-Legit Guide to Getting More Twitter Followers. Who gets shared the most? Some marketers are good at making sharable content. Some marketers are just good at getting others to share. Lots of factors contribute to sharing: headlines, visuals, using contributors (see below) and social automation tools. Regardless of how they do it, here’s how to find out how much they get shared. With the BuzzSumo free version, you can see what gets shared the most on your domain and theirs. 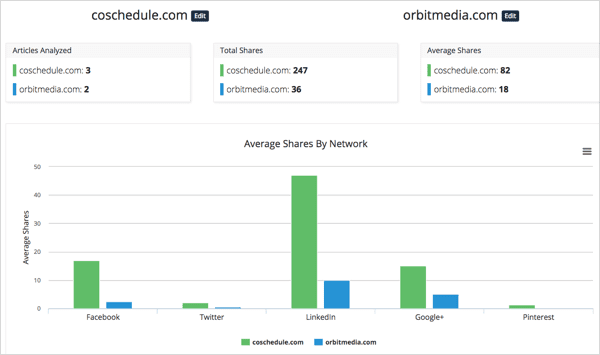 But in BuzzSumo Pro (or with a free trial), you can do a domain comparison and see the average shares, you versus them, on every social network. Now you’ve got a good sense for who’s getting more social traffic. It’s a controversial metric, but it does mean something. Klout is based on 400+ signals. It’s a measure of “influence” as in the likelihood that others are interacting, responding, answering, favoriting, liking and sharing. A high Klout score means they’re doing more than just dumping links into social streams. Every serious marketer I know is intensely focused on email marketing. Unlike most traffic sources (Google, Facebook, Twitter and LinkedIn) email is not a company. It’s the list you own. It makes you less beholden to those companies to drive traffic. With email, there’s no company acting as the intermediary between the reader and the brand. Here are the two main ways to do a little email marketing competitive analysis. This is a key comparison. It’s also not necessarily visible. 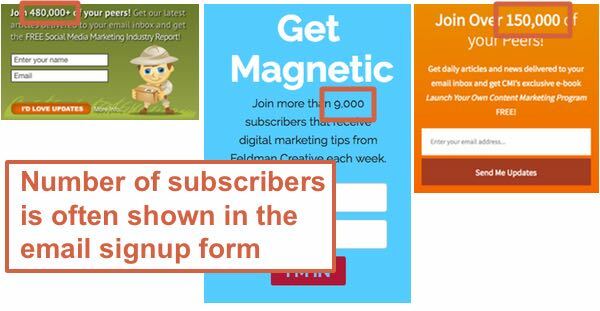 If your competition knows how to optimize an email signup form by adding social proof, the number of subscribers might be right there on the blog or in a popup window. If not, try asking them on social media. They might just send a quick response! As with publishing on the blog, there isn’t an easy way to measure this. Just subscribe to your competitors newsletter and count the emails as they come in. Content can go far beyond blogging. Some brands are doing much more in creating and promoting their content. Let’s give credit to those strategies and show who is giving themselves a competitive edge. 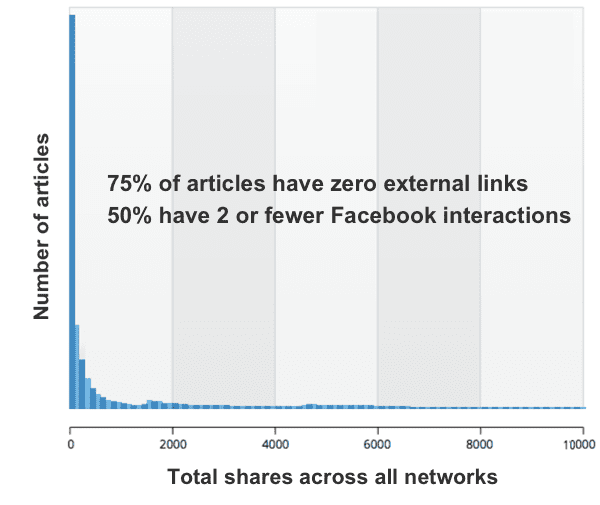 As we’ve reported already, 75% of content get no links and almost no shares. But one format for content rises above all others: research. Look for original research that creates new data and statistics: charts, graphs, percentages and sound bites that were published there first, before they appeared anywhere else. These are probably the pages with the most links (according to Open Site Explorer) and shares (according to BuzzSumo). Including keywords is good for search traffic. Everyone knows that. But here’s something most marketers miss: including people is good for social traffic. Our competitive analysis of content marketing includes a check into collaboration. So browse through recent articles, looking for ego bait; content that includes the faces, names and voices of influencers. Marketers who collaborate with others on their content get big networking and social media benefits over the long haul. Tip: Email interviews are a fast, powerful way to get more people involved in your next article. It’s a more aggressive, more effective way to grow an email list. Marketers love popups, even if visitors don’t. Oli also shared the difference between average and excellent. It’s all about relevance, value, timing and design. Are you already using popups? Use these benchmarks as another way to compare your content marketing to others. As with popups, retargeting is another way to more aggressively improve branding and traffic. A retargeting campaign uses a tracking pixel and a cookie, so after a visitor comes to your website, ads appear on other websites, encouraging them to return. Advertising isn’t content marketing. In fact, it’s the opposite. But retargeting works so well with content that we’ve included it here. Companies that combine content with retargeting have a competitive advantage. A bad content marketer publishes only blog posts. A good content marketer goes beyond the blog, into more compelling formats. Here are three that lead to a significant competitive advantage. If the competition is moving into these formats, they may be building a durable advantage in brand awareness, trust, networking and demand generation. 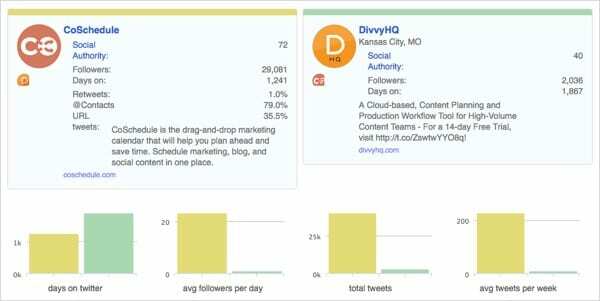 Here’s our totally made-up dashboard that compares the content marketing of two companies. 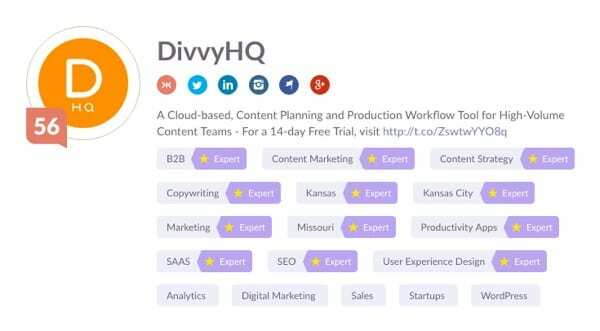 This competitive content analysis will be of two companies that we have no connection to: CoSchedule and Divvy. How did your content do in the final analysis? If you’re content didn’t stack up well against your competitor, don’t worry. This is a game that’s never over. It’s not too late to focus and build up your edge in any of these categories. This scorecard made it look like DivvyHQ is losing. In fact, it’s an excellent tool with a huge loyal following and a blog with a lot of great content. Brody Dorland is a champion marketer. If your competition is ahead of you, they probably started before you. There is no way to see the conversion rate for a website, but it’s critical. If the competitor has twice the conversion rate, they’ll get the same results as you, even if they have just half as much traffic. You can set a Talkwalker Alert to see mentions of their brand name, but it’s still hard to tell if they are active guest bloggers or just good at PR. Either way, what happens on other websites is key to content marketing success. Does their content stink? If so, nothing else really matters much. This scorecard shows one thing: which brand is better at giving away information. Content is a gift and the brands who are the best at giving it are the brands that win. So if you plug in your scores, and you you’re not winning, give more. Work harder to put free information on the web and work harder to make sure people see it. That’s really what it’s all about. Great article Andy! Very helpful! I wonder, what about social listening? I believe that we can use tools like i.e. BRAND24 internet monitoring for tracking our competitors, analyze their reach and influence, know their influencers, see what their customers saying online about them. This is also a great source of knowledge we can use for our purpose and be few steps before them! Excellent point, Gloria. It’s super smart to listen to your competitors. I’ve used Talkwalker Alerts, but not Brand24. I’ve heard good things about it. Does it quantify things somehow? I’m wondering how this might fit into my imaginary scorecard..
Nice to hear 🙂 I’m sure that it would be useful for you, i.e. you can add informations about interactions and reach, measure the buzz. In Brand24 you will find analyzes of reach, influence and sentiment, amounts of mentions, analyzes of author’s influence and reach, discussions volume charts, comparisons. A lot of powerful data you can filter, compare and export. Take a look at https://brand24.com/features/ to see dashboards and all features. Thanks for sharing this blog. Content is the main factor for ranking of a website. But as you mentioned the frequency of blogs for about 5 times a week. Would it be really beneficial? As the blogs which are posted are to be posted in social media as well. So should all the blogs which ever posted (5 times a week) should be shared in the same frequency in social media?